I love the taste of fresh garlic. But sometimes it is too tart for a particular recipe. In those cases, I roast a whole head of it. You can use much more garlic in your dish if it is roasted and roasting garlic brings out the natural sweetness of garlic, just like it does with any vegetable. If you are looking for cooking tips that you will often use, this one is a keeper. 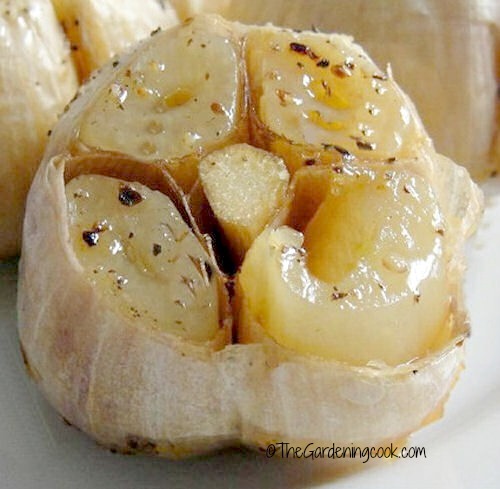 It is easy to Roast your own garlic and the end result is delicious and can be used in so many ways. 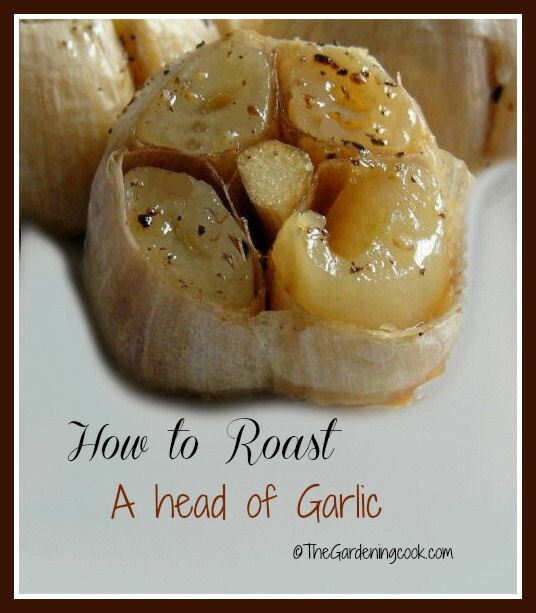 Take a large head of garlic and cut tops off of cloves. Place each head in one compartment on a muffin tin, pour 2 tbsp olive oil on top of each head, add fresh cracked pepper and Mediterranean sea salt. Cover the muffin tin lightly with aluminum foil, bake for 1 hour at 400°F. Scoop out and spread on french bread or eat plain. Very easy to do and the roasting releases so much flavor to the garlic but also cuts the bite, so it makes it more mild that just cooking it on the stove top. Doesn’t it look delicious? Imagine adding this to a dip! The opportunities for using it are endless. It’s great mixed into a pasta dish, spread on top of a steak, or over roasted vegetables. And on a toasted baguette, it is just divine! For more cooking tips, please visit The Gardening Cook on Facebook.